Opinionated Girl : What's in my bag! Night-time edition! What's in my bag! Night-time edition! So in the blogsphere, the "what's in my bag" post is very popular, but I decided to do the mini version of it, which is "what's in my clutch"! 3) Perfume - As for the perfume, although I always use samples that I get instore, but this time around I came across an awesome new product launch by Chloe. They introduced 30 ml perfumes with a spray and very very long-lasting scents (I am not a big fan of those oily ones that you have to rub on your temples, so this is perfect for me). 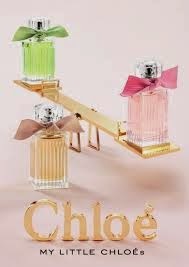 The Chloe perfumes come in 3 different scents that can be found in Sephora! Loving the Kate Spade card holder. Gorgeous color. The Chloe bottles are too cute!.. CK vs CK vs CK!